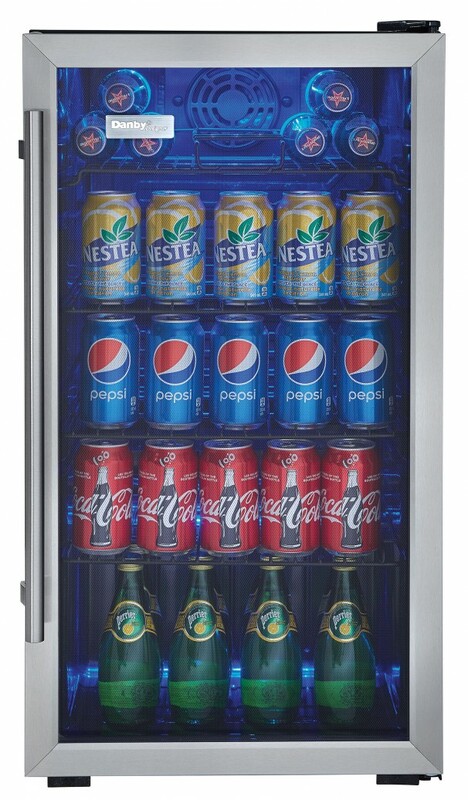 This stylish beverage center is an excellent alternative to a compact refrigerator as it can cool up to 120 cans of your favourite refreshment in its generous 3.3 cubic feet (93.5 litres) of storage space. 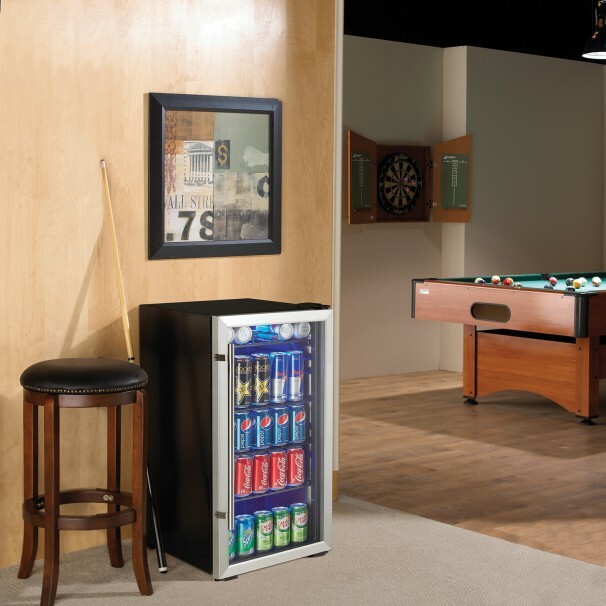 It’s the ideal appliance for your wet bar, games room, office, or dorm room etc. 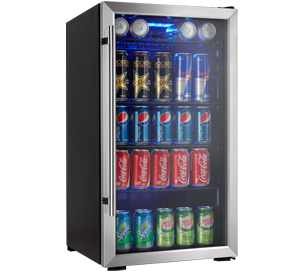 as you’ll never be short of cold drinks when visitors come calling. 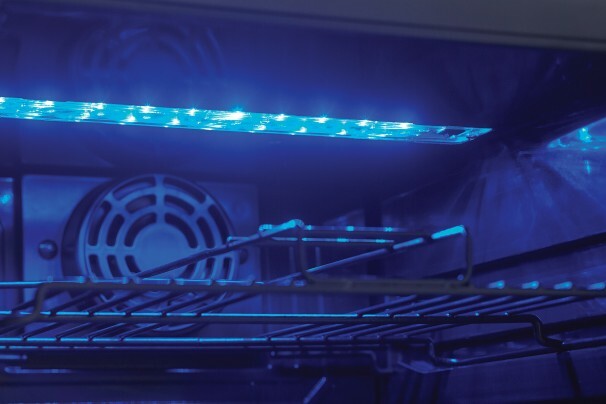 The chic unit includes a cool blue LED track-lighting system that beautifully showcases the contents without the added heat of an incandescent light bulb. 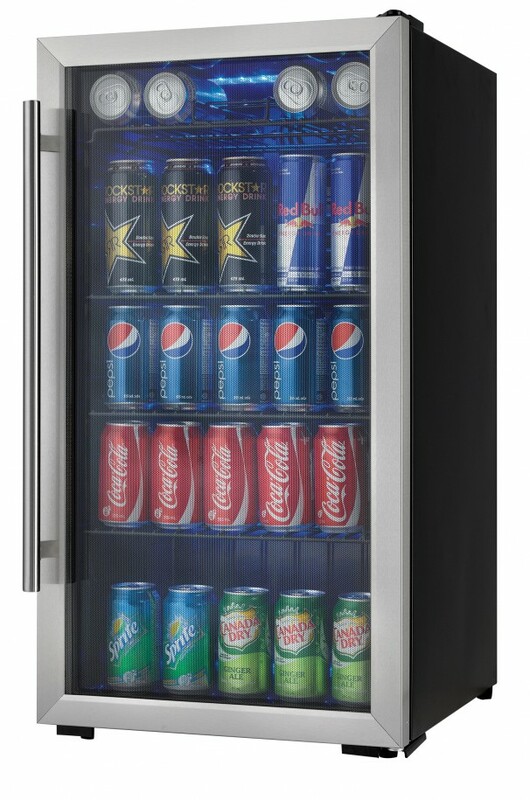 This dazzling beverage centre features modern black wire shelving and a beautiful tempered glass door with stainless-steel trimming which blocks out harmful ultraviolet rays. The temperature can be easily and quickly programmed on the state-of-the-art mechanical thermostat from anywhere between 6°C and 14°C (43°F and 57°F. 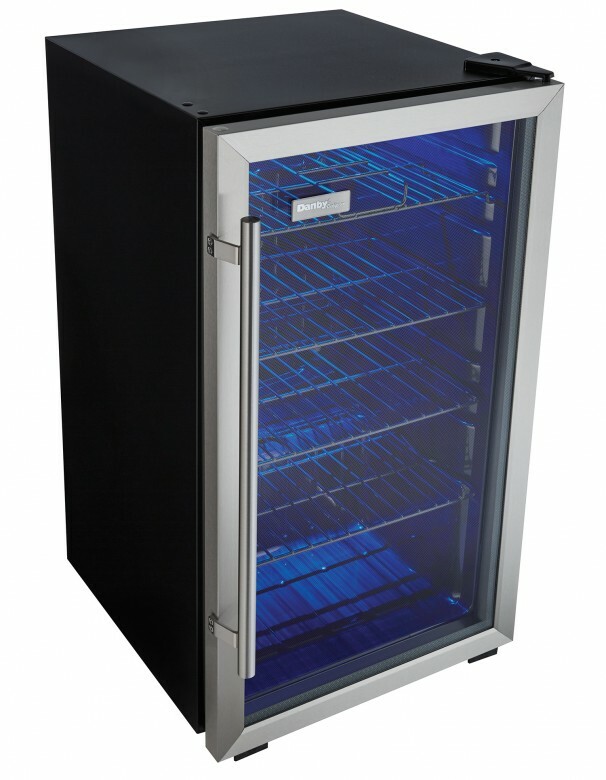 It also features a smart cycle defrost system and the smooth back design allows you to place it flush against any wall. An elegant touch is added by the new stainless-steel towel bar door handle and the clever reversible door hinge lets you adjust it for either left or right-hand opening. 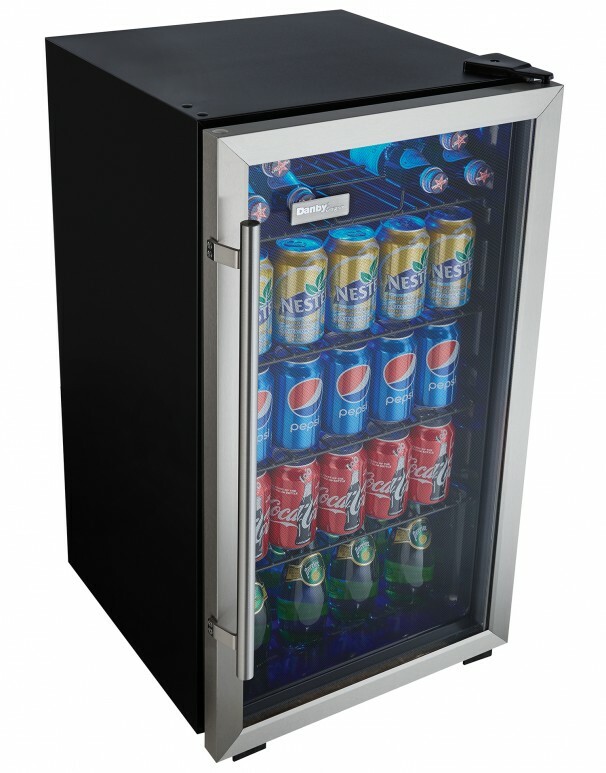 This dependable beverage center also comes with a worry-free 18 month warranty on parts and labor.